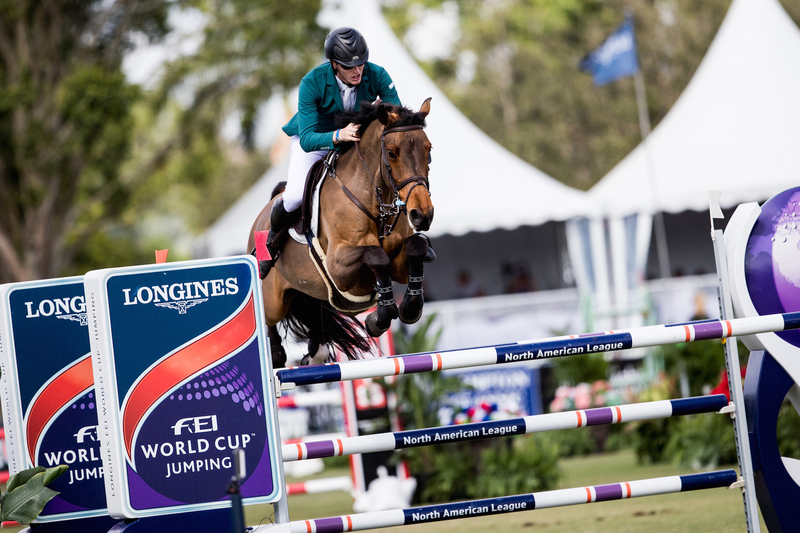 Daniel Coyle took top honours in Wellington, Florida in the 6th leg of the Longines FEI World Cup™ North American League. He was closely followed by American riders Laura Kraut and Margie Goldstein-Engle in second and third, respectively. The outdoor course left plenty of space for forward canters between the fences, with most of the riders falling into the trap of letting their horses get long and feeling the consequences when the poles started falling. For some of the top performers though, the course rode well with the likes of McLain Ward and Kraut making easy work of it. Israel’s Danielle Goldstein posted the day’s first clear on her fantastic mare Lizziemary. 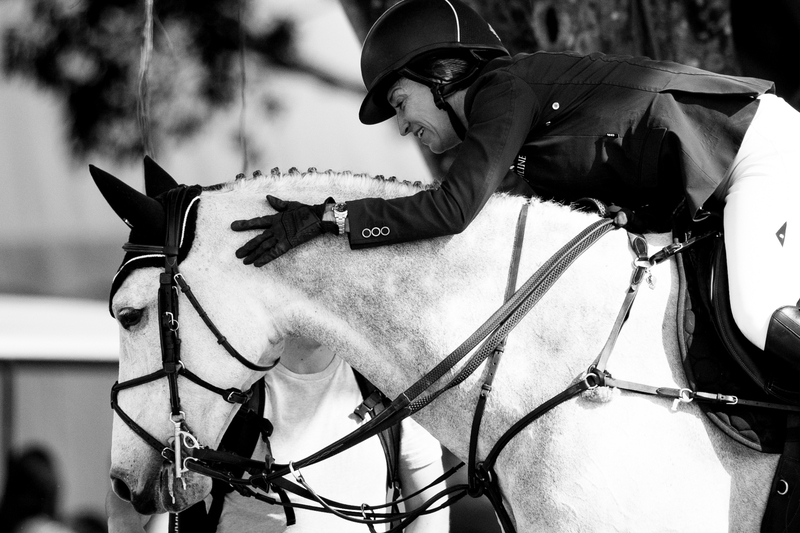 By the halfway point, she remained the only clear round. Time penalties were rife on the long course. It wasn’t until veteran of the sport Goldstein-Engle cantered in on her best horse, the big 14-year-old stallion Royce, that a jump-off was guaranteed. Young Irish rider Coyle quickly followed suit and Ward lived up to all expectations with a lovely clear on HH Callas. Last to go was Olympian Kraut and Confu, who finished the first round off in style by becoming the fifth and final rider to make the jump-off. Goldstein set the tone for the jump off with a forward, positive ride but a tight turn and slight loss of impulsion to the first element of the double meant she took down the back rail of the oxer. Goldstein-Engle threw caution to the wind and galloped down the related distances for a clear in 35.40, but Coyle’s slightly more lightfooted mount, Cita, came home with another clear in the faster time of 34.79. All eyes were on Ward and Kraut for an American win and with HH Callas one of the more forward-going horses on the circuit, smart money would have been on them. Ward set off at breakneck pace with the intent to win, but tipped the second element of the double and slowed down for the rest of the ride, leaving him in fifth place. Kraut came home with a clear in 35.14, just behind Coyle on time, earning her the silver medal position. Alex Granato and his Chacco Blue gelding Carlchen W racked up eight faults, but with scope to burn at the age of only eight years old, this horse has a bright future ahead of him. It was heartening to see a huge amount of talented young riders showing serious potential in these classes and demonstrating that the future of Jumping is in very good hands. The battle of the four-faulters was no less gritty, with eleven riders battling to collect their points. Of those eleven, Denis Lynch was the fastest and finished in sixth place. With only one more leg to go before the finals to be held in Paris in April, the riders will be scrambling to gather as many points as they can to qualify for the finals and arrive in Paris on a winning streak.